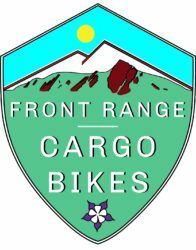 The $1800 Tern Cargo Node is a unique bike with a lot of practical features at a reasonable price. 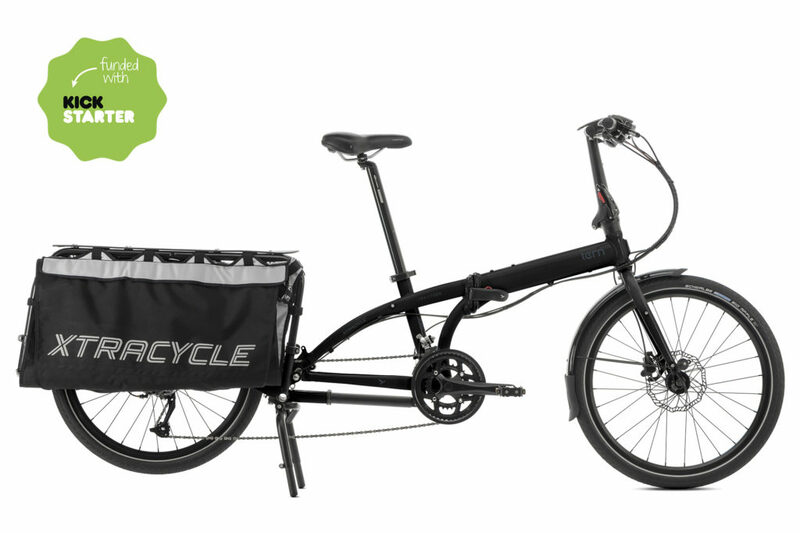 Tern Cargo Node: Tern/Xtracycle partner to create an amazingly portable full size cargo bike. The first time the team encountered the Tern Cargo Node was at Interbike before the impressive Kickstarter campaign. We already had spent time on the Tern Cargo Joe and were excited to see the updated version, featuring the first available Xtracycle Leap extension. One ride with a full grown passenger teetering on the back and we were hooked. 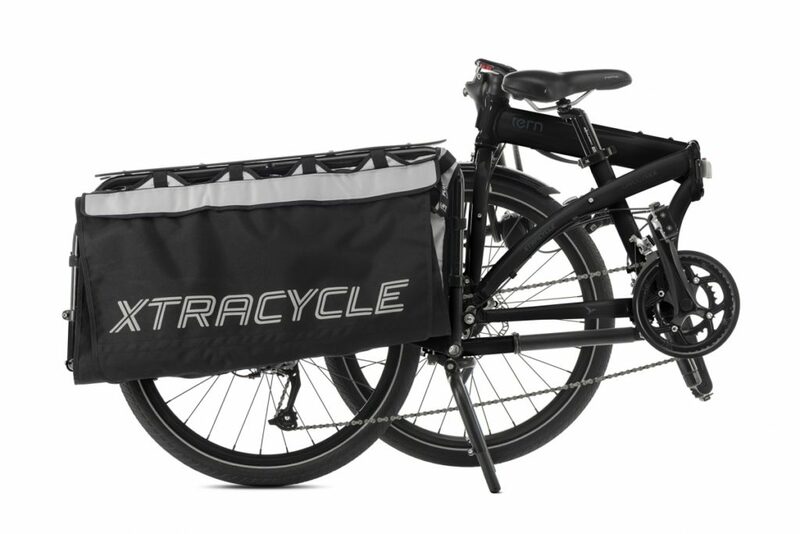 The Xtracycle Leap attachment allows the use of some of Xtracycle most popular accessories, including the Hooptie, U-Tubes, Magic Carpet and up to two Yepp seats. Don’t worry, this bike also offers the option of a frame mount front basket. Of course we keep all the accessories on hand and install them for free with the purchase of the bike. 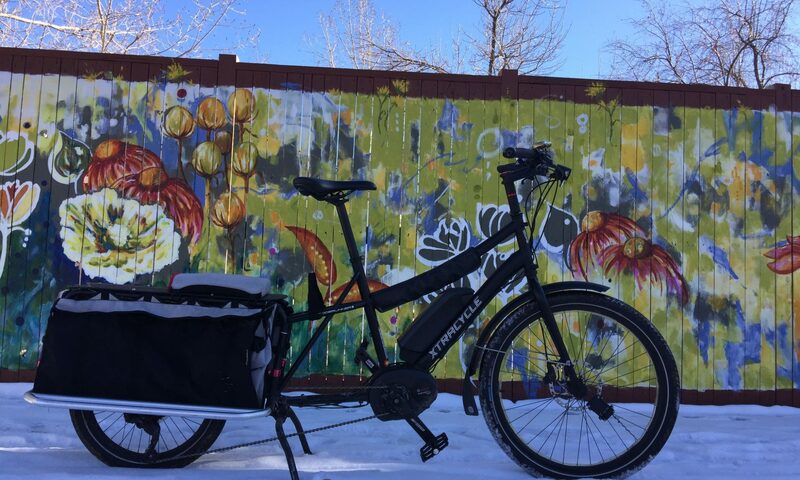 The Tern Cargo Node wants to take you places, whether maneuvering around tight city streets to shuttling kids and firewood around the campground, this bike is easy to keep close by. Fold it up at he office after taking your youngest to school or keep it in the back of the van for when parking at the soccer game is scarce. *Stock levels are prone to rapid fluctuations. We try or best to keep up to date, but if you are traveling a long distance to see this particular item, please contact us.